In Beijing, they are most commonly stuffed with a candied or dried jujube, the dried Chinese red date. Some zongzi are left plain, to be dipped into sugar. Other places in North China replace glutinous rice with glutinous yellow millet, and these days, some folks replace white glutinous rice with purple rice. In some parts of Guangdong and Fujian provinces, and Guangxi Zhuang autonomous region, people soak the glutinous rice in alkaline water, which gives the rice a honey-colored glaze and a softer texture. People in Sichuan province make a spicy zongzi with chili powder and preserved pork while in Suzhou, Jiangsu province, the locals put a piece of pork fat into the dumpling to give it a special aroma. 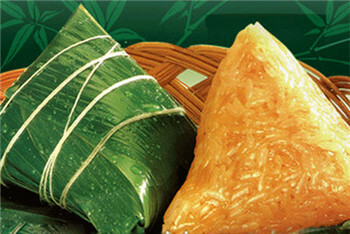 In Hainan, zongzi are wrapped in banana leaves, while dumplings on the mainland are wrapped in either bamboo or reed leaves. 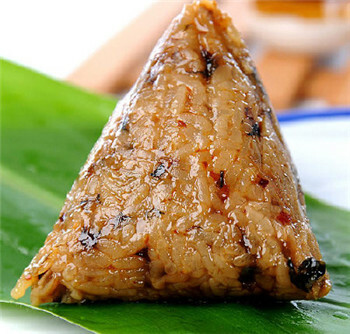 Over on the island of Taiwan, zongzi are made with fried glutinous rice and fried pork, as well as bamboo shoots, dried mushroom and dried bean curd. 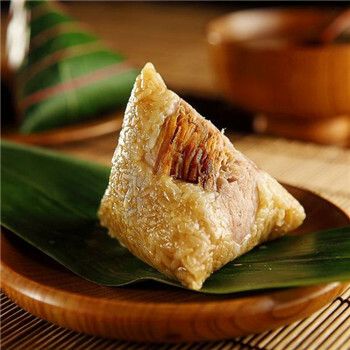 But the most famous zongzi in China are those from Zhejiang's Huzhou and Jiaxing, and these have become the national standard. 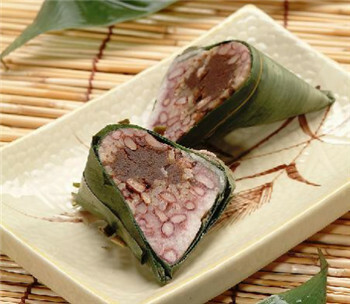 In Huzhou, salty zongzi are made with fresh pork flavored with soy sauce, while sweet zongzi are made with jujube or red bean paste, with a piece of pork fat added to make the paste even more aromatic. 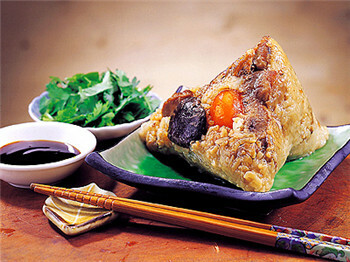 Jiaxing zongzi use chicken and "eight treasure" stuffing, as well as the more common red bean paste and preserved duck egg yolk. But fresh pork zongzi is the most popular. The meat is taken from the hock and marinated with sugar, salt, soy sauce and baijiu (Chinese liquor) to give it plenty of flavor. 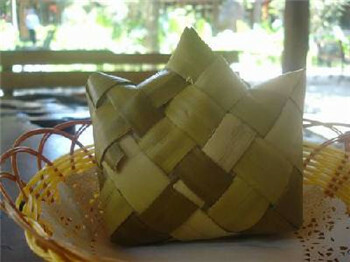 It is then wrapped in bamboo leaf and boiled.